The U.S. Federal Aviation Administration is stepping up research into systems that could protect airports from rogue drones. Under its “Pathfinder” initiative on unmanned aircraft systems, the FAA in May signed cooperative research and development agreements to test prototype counter-drone systems from three companies at selected airports. These added to a 2015 agreement the agency signed with defense contractor CACI International to test the latter’s “SkyTracker” system, which it evaluated earlier this year at Atlantic City International Airport. In the last two years, the FAA has released incident reports revealing an increasing number of flybys by rogue drones at major airports, raising concern over the possibility of a collision with passenger-carrying aircraft. The number of drones operated by hobbyists and commercial operators alike is only expected to grow. In its most recent annual aerospace forecast, the FAA projected sales of 2.5 million hobbyist and commercial drones this year, potentially growing to 7 million sales (4.3 million hobbyist, 2.7 million commercial) by 2020. As of early May, the FAA reported that 443,000 hobbyists had registered their drone or drones with its Small Unmanned Aircraft System Registration Service. Counter-drone systems detect low-flying drones by radar, radio frequency signals or other means, then track and disable them. Typically developed for military purposes, they are now being promoted to protect airports, stadiums, prisons and critical infrastructure. 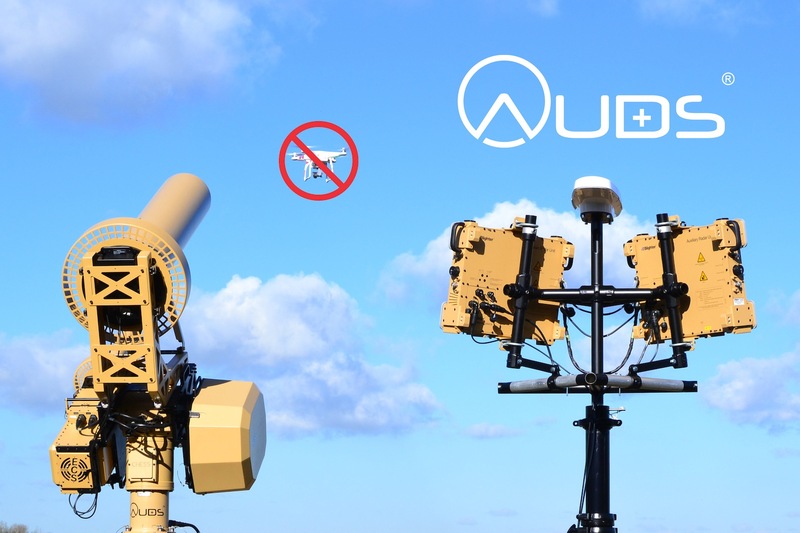 Last month, the FAA announced research agreements to test systems offered by Liteye Systems, of Centennial, Colo.; Sensofusion, of Finland and New York City; and Gryphon Sensors, an SRC subsidiary based in Syracuse, N.Y.
Liteye Systems is the North American representative of the Anti-UAV Defense System (AUDS) developed by three UK companies. The second-generation system integrates Blighter Surveillance System’s Ku band electronic scanning radar; Chess Dynamics’ stabilized electro-optic director, infrared and daylight cameras and target tracking software; and Enterprise Control Systems’ directional radio frequency (RF) inhibitor to detect, track and disable drones at ranges up to six miles. The AUDS companies say they have conducted more than 400 hours of live testing in French, UK and U.S. government-sponsored trials. Also in May, the FAA said it tested an “FBI drone detection system” at John F. Kennedy International Airport in New York. Other agencies participating in the test were the Department of Homeland Security, the Department of Justice, the Queens District Attorney’s Office and the Port Authority of New York and New Jersey. Last October, the FAA named CACI, of Arlington, Va., as an industry partner in the Pathfinder effort. CACI’s SkyTracker is a passive detection system that senses the RF link between a drone and its operator within a defined electronic perimeter. Testers evaluated SkyTracker from January 25 to February 2 at Atlantic City International Airport—the first such detection research at a commercial airport, the FAA said. Separately, digital mapping company AirMap, of Santa Monica, Calif., and the American Association of Airport Executives in March unveiled the Digital Notice and Awareness System (D-NAS), a notification system that enables drone operators to inform nearby airports of the location of their flights. The operators can send encrypted digital flight notices to an AirMap dashboard at the airport’s operations center. The dashboard provides managers with a map view of flights in proximity to the airport and the ability to contact the drone operator. More than 50 airports have joined a D-NAS pilot program, including Houston’s George Bush International and Hobby airports, Denver International Airport, Charlotte-Douglas Airport in North Carolina, Reno-Tahoe Airport in Nevada and Fairbanks International Airport in Alaska.